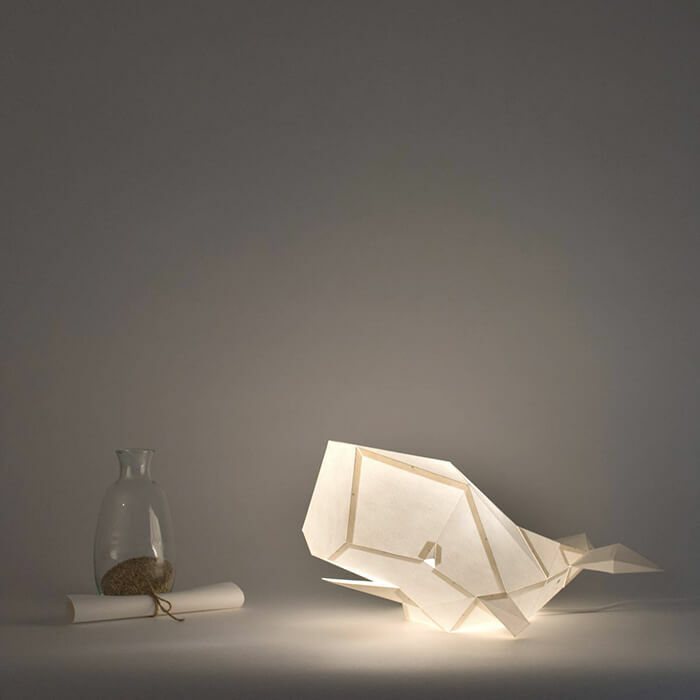 OWL, a Lisbon-based lamp brand founded by two architects (Hugo Formiga and Teresa Almeida) in 2016, offers a wide range of animals that can be turned into paper lamps using simple folding techniques. 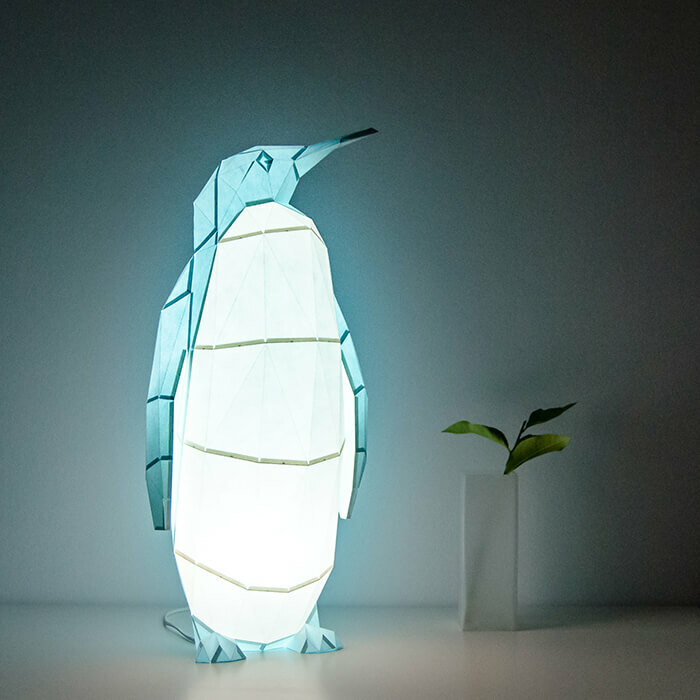 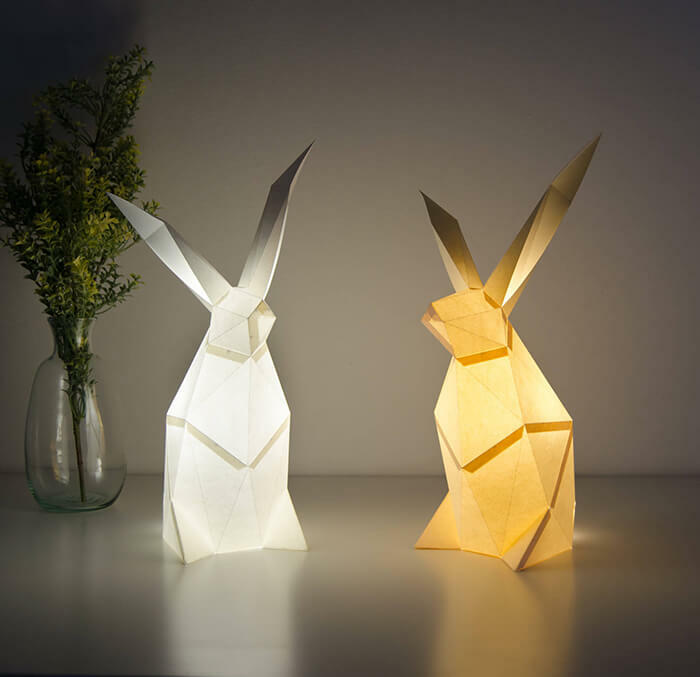 Besides different owl designs, the brand also offers paper lamp in the shape of roaring hippos, curious rabbits, and proud penguins. 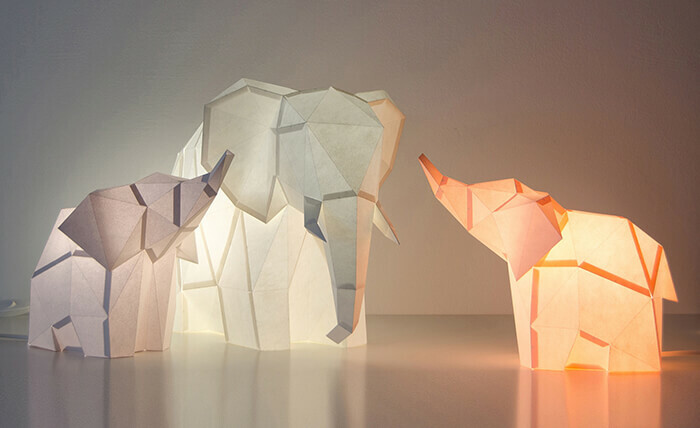 All the lamps come in DIY kit, including a pre-cut paper model and a base with an E14 light bulb socket, an electrical cord with switch, a plug, an assembly guide and an extra practice model. 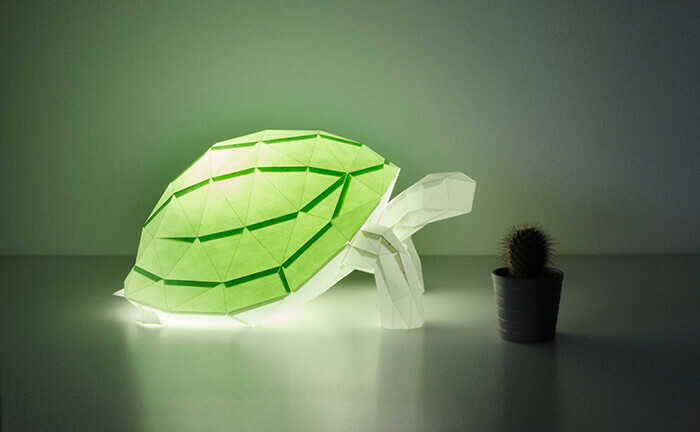 Models are made with high quality 160g paper presenting good resistance and durability. 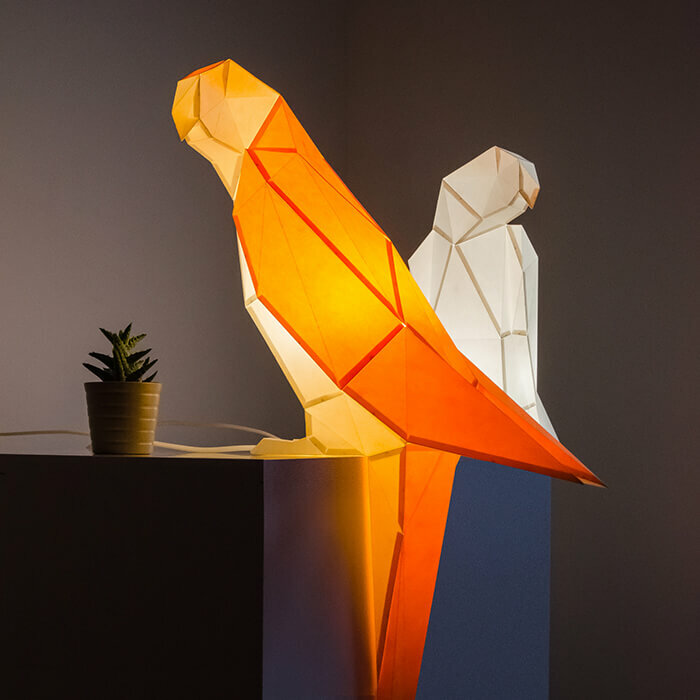 Either with friends or individually, you can follow the insturction and enjoy bringing to life one more member at your home. 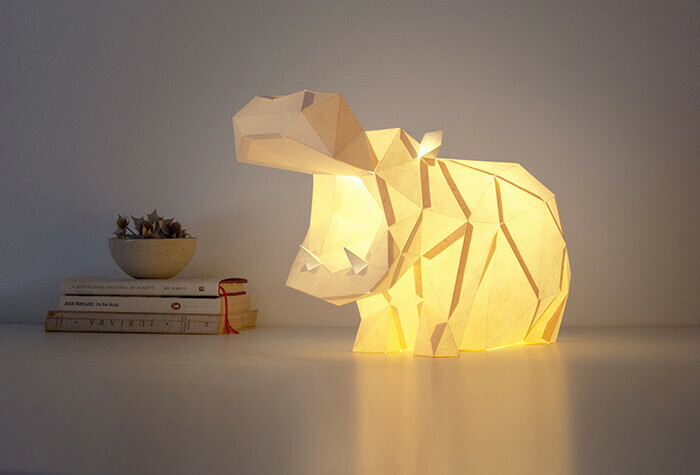 Basing on the lamp’s size, the kit price ranges from $30 to $80. 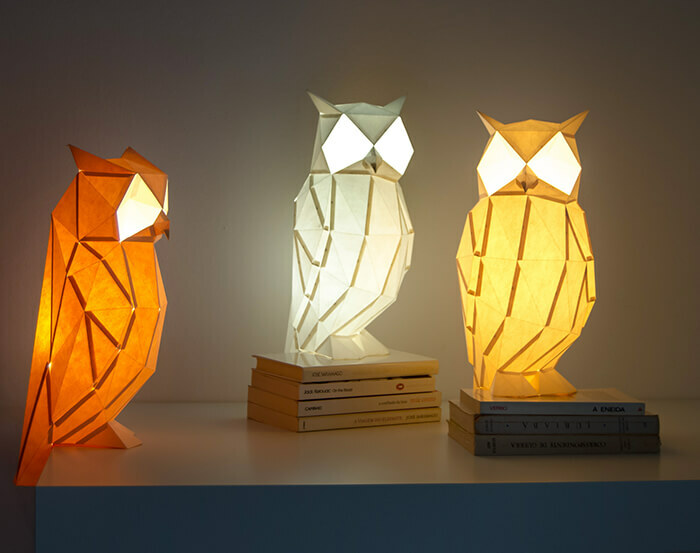 Head over to OWL’s Etsy store for more information if you are intersted to get one.